On the 4th August 2011, Mark Duggen took a minicab from a house in East London. He was followed by police officers from Operation Trident, an anti-gun crime unit which was set up specifically to target the African Caribbean population. Along the journey, Trident officers, alongside police from the elite firearms unit, stopped the minicab. They first held Duggan at gun point, before they shot and killed him. They claimed it was in self-defence. He had, they said, started firing at them. It was later revealed the police’s claim Duggan had fired was a lie. The police had knowingly given false information to the IPCC, the public, and Mark Duggan’s family and friends. It is important this point is made, and made again, as almost all press reports have portrayed these lies as an unfortunate “mistake”. Following the shooting and killing, police immediately removed the vehicle in which Duggan was travelling from the crime scene without explaining why this was done so quickly – contrary to standard murder scene investigation practice. Despite this, police claimed a gun containing a single bullet was found inside a sock, inside a shoebox, on the other side of a fence, 10 to 14 feet away from Duggan’s body. Traces of Duggan’s DNA or fingerprints are yet to be found on the weapon. As far as current public information indicates, the first point of communication the IPCC had regarding Duggan’s killing was when they were consulted by police before removing the taxi from the scene. The IPCC staff who spoke to police officers gave them the green light, but did not inform their commissioner, Rachel Cerfontyne, of that decision for another three months. The IPCC are yet to explain why they allowed police to remove key evidence from the crime scene, or indeed why they chose not to inform their commissioner of this collusion until it was on the verge of becoming public knowledge. Instead the IPCC had, from the start, adopted the (now known to be false) police story that Duggan had fired shots at officers. They released a press statement which (predictably) resulted in inaccurate headlines portraying a gun battle between a violent and highly dangerous African Caribbean drug dealer and Operation Trident officers. This is not the first time the Police have given false evidence and false information to the IPCC. The most notable case was the killing of Ian Thomlinson, in which the Met lied about the cause of death to the IPCC until independent footage emerged disproving their statement. Tony Murphy, solicitor and founding member of the IPCC has admitted that, systemically, “evidence is not being uncovered or properly analysed by unsupervised and inexperienced staff, who unquestioningly accepts the word of the police officers they are supposed to be investigating”. This claim is highly disturbing. However, cases such as the abuse of Babar Ahmad whilst in police custody show that even when presented with sufficient evidence, the IPCC still fail to pursue formal police accountability or prosecution. After Ahmad was physically assaulted, racially abused and humiliated by police, both the Crown Prosecution Service and the IPCC claimed that there was insufficient evidence to press any charges against police. In fact, it was only after a prominent sustained public campaign that the investigation was forced back open, and the evidence presented by Ahmad was sufficiently analysed, leading to criminal charges being brought against officers. Although solicitors do make up some of the IPCC membership, much of its staff are former police and customs officers, or serving officers on secondment. Most of the IPCC’s budget is provided by the Home Office. The Home Secretary appoints board members who, although without any police background, are in effect very close to government and, therefore, often at odds with the interests of victims of police brutality and misconduct. The resignation this month of the Police Action Lawyers Group from the IPCC has highlighted the institutional power that police officers and their allies have in the IPCC. Having legal rather than law enforcement backgrounds, the PALG left after they felt their roles were ignored, thus making them virtually redundant within the commission. Following the killing of Mark Duggan, the IPCC appointed three community activists from Tottenham to help inform their investigation, with the hope of bringing greater legitimacy to both the case and the commission as a whole. In light of the recent revelations of the IPCC’s unquestioning support for police actions and statements, two of the three members have now resigned. Like the Police Action Lawyers Group, they feel they have little or no faith in the investigation, and the competence of the IPCC to carry out a genuinely independent review of police actions. The most obvious illustration of this issue is the fact the IPCC have been part and parcel of the delivery of disinformation and misconduct which the police have engaged in from the outset. Investigating police abuse and corruption independently, by people from the affected communities, independent lawyers and respected community members has proved on numerous occasions to be the only way for oppressed groups to come close to attaining some recognition of justice. The cases relating to Stephen Lawrance, Charles De Menezes and Babar Ahmad are pertinent examples of campaigns that have begun to uncover the corruption and discrimination institutionalised into our criminal justice system. 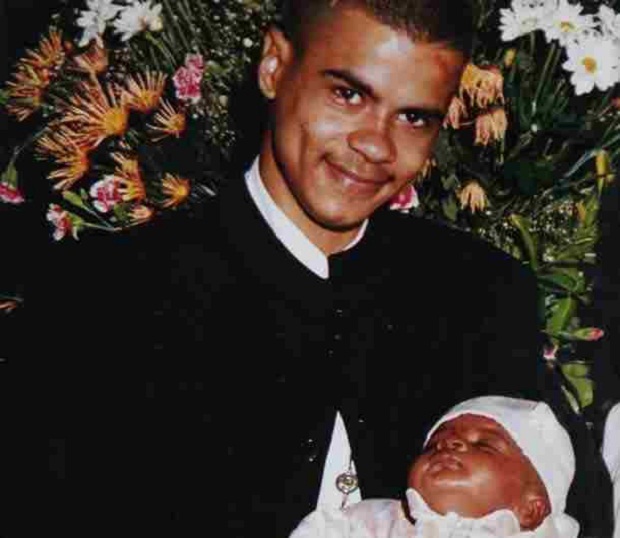 With very limited resources, the campaigns for justice for Mark Duggan, Smiley Culture and others are still fighting for the evidence around these murders to be properly scrutinised in court. The erosion of legal aid, and funding for community groups makes their task all the more difficult. All these campaigns are yet to achieve justice, and proper accountability for the lives lost at the hands of the police. But, without them, a state of fear and unregulated state violence will be allowed, and encouraged, to spread unchallenged. « Previous: Palestine is Still the Issue | The Question of Palestine: liberation or independence? Fantastic article Adam, the hypocrisy of the intertwined IPCC, Police and judicial system is something which requires much exposure. Solidarity to all struggling for justice! “resulted in inaccurate headlines portraying a gun battle between a violent and highly dangerous African Caribbean drug dealer and Operation Trident officers”—– Duggan WAS a highly dangerous drug dealer. Ask almost anyone on the Broadwater Farm. @danny1 – Adam’s “inaccurate headlines” doesn’t refer to whether Duggan “WAS a highly dangerous drug dealer” as you write, but to tales of a “gun battle” that many media outlets circulated.